Looking for a quick way to get the money you need until your next paycheck? * Check `n Go has you covered in Mount Pleasant. We’re in the Stadium Mall next to H&R Block. Our friendly and professional associates can help you select a payday loan or other options that are right for you. 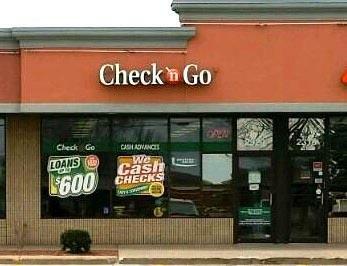 Check `n Go Mount Pleasant offers payday loans from $50 to $600. Whether your need is large or small, visit Check `n Go for friendly and hassle-free service.